Iranian Supreme Leader Ayatollah Ali Khamenei on Thursday said the US is Iran's "number one enemy." "America is the number one enemy of our nation," Reuters quoted Khamenei as saying. "We will never accept their bullying over the nuclear deal. They are using all the wickedness they can muster to destroy the fruit of the nuclear talks." IRNA quoted Khamenei as claiming the US's hatred of Iran "blinded their calculation vision, leading them to repeat their mistakes." On Wednesday, Khamenei told visiting Russian President Vladimir Putin that Tehran and Moscow must step up cooperation to "isolate the United States"and help stabilize the Middle East. 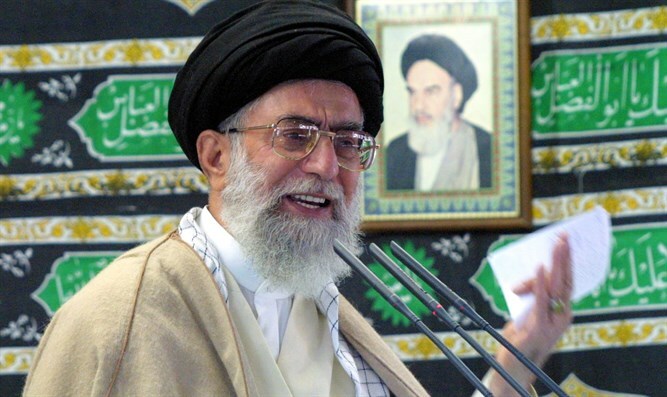 Last week, Khamenei claimed that the United States created the Islamic State (ISIS) jihadist group. Previously, he threatened to “shred” the 2015 nuclear agreement his country signed with Western powers if Trump withdraws from it.